Funaek had a not so lil pug, whose fur was tan as fawn! 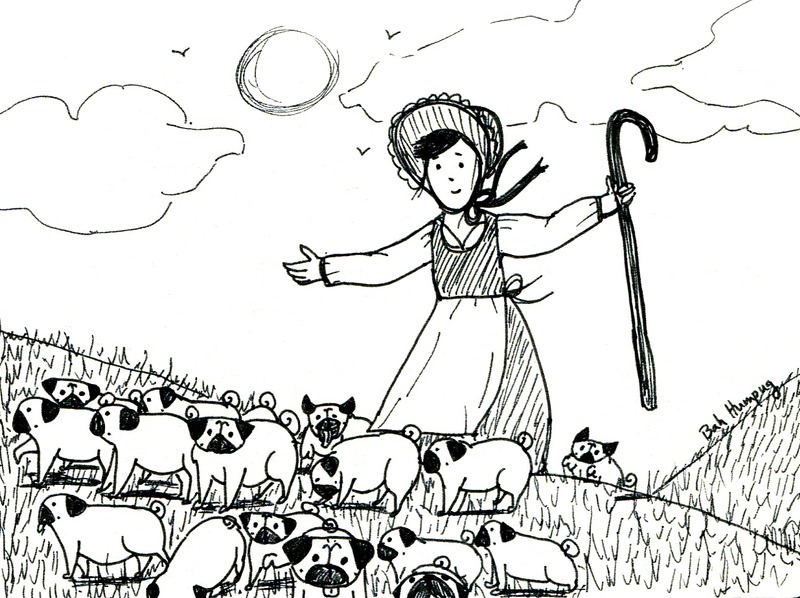 I was trying to think of other fairy tales to pugify and instead my mind kept jumping to Mary Had A Little Lamb and then that made me think of a shepherdess in charge of a flock of pugs. And of course I had to draw that. 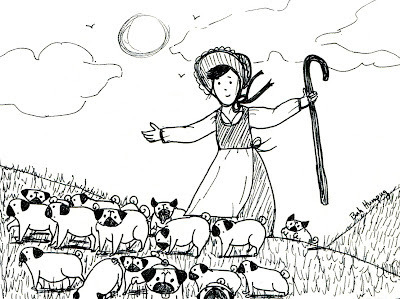 Although instead of a shepherdess, should she be called a pugerdess? I bet this flock of pugs are kept for their fur which is shorn each year. I mean with pugs that would be a whole lotta fur.